On Tuesday (29th November) Objective Digital team had an early start to attend the POPAI Professional Development Breakfast Seminar at Hilton Hotel. Professor Richard Silberstein (CEO Neuro-Insight) captivated the audience in his 30mins presentation about Neural Pathways and the Path to Purchase. While, Yu Dan Shi (APAC Industry Strategy Director, Adobe Marketing Cloud) presented great insights on how to simplify complex marketing touch points. Prof Richard shared interesting case studies on how brain-imaging technology is used to measure how our brain responds to advertising. The methodology measured four key areas in brain activity; attention, emotional response, memory encoding and engagement. As people watch an ad, their brain activity shows whether they are drawn to certain images or withdraw and whether certain image are more memorable than others. He also explored the idea of an “iconic trigger” principle which is probably the most relevant principle to marketers. An iconic trigger is selected by measuring implicit memory encoding (i.e. most memorable) and also engagement (i.e. most engaging). A good example of effectively using this principle was by a large insurance company to determine which scenes from their TV ad should be used for their below the line campaign for maximum effect. 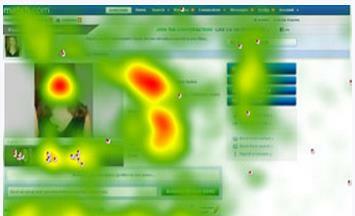 As an eye tracking researcher, I can relate to how technology can be a great help to generate consumer insights. 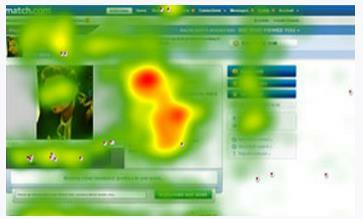 Our eye tracking methods are commonly used for usability studies and shopper research to evaluate how users and consumers experience and perceive different media and communication messages. Both eye tracking and brain imaging technology are able to explore unconscious reactions (implicit memories) which reveal insights that traditional research method couldn’t do. As the world we live in is getting more and more complex, marketers have less predictability and clarity when it comes to understanding consumer behavior. Traditional marketers need to embrace the digital space while digital savvy marketers need to take a step back and embrace human sciences. Key performance indicators should not be measured between traditional marketing channels vs. digital, as these are no longer relevant if you want to get a holistic view of how your company is performing. Both need to come together and work in a collaborative environment, not compete against one another. I couldn’t agree more about holistic approach, here in Objective Digital we often work on and recommend omni-channel studies when it comes to marketing campaigns. Our methodology provides a one-stop-shop to measure the online, mobile, and in-store effectiveness. This approach provides rich insights which can uncover the answers to key business questions and help to refine a company’s offering. Please contact us on info@objectivedigital to learn more. This entry was posted in Events, Eye tracking, Objective Digital, Shopper and tagged Retail marketing conference, shopper research by Yoana Francisca. Bookmark the permalink.